How do I buy a SMS Masterminds Business Opportunity? 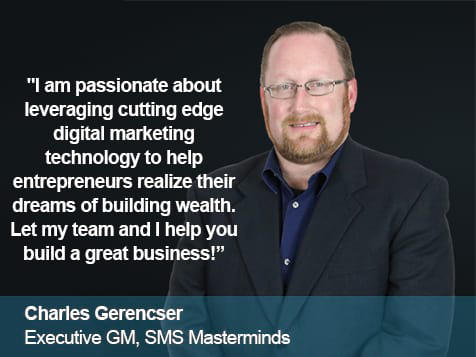 SMS Masterminds is a marketing company that helps businesses stay in contact with customers through text messaging and other digital services. 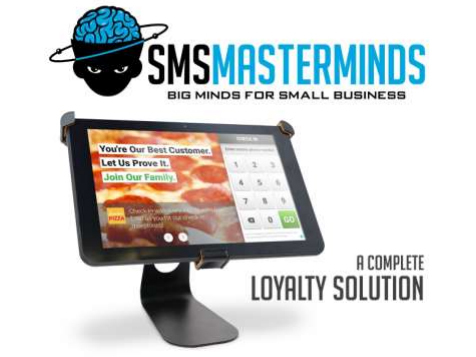 To buy an SMS Masterminds business an investment of $29,900 is required. The SMS Masterminds business opportunity is a work from home, flexible format business, offering recurring revenues without the need for employees. This is a low cost, low overhead, low inventory business. You will generate residual income by using text message marketing and other digital services. Everywhere you look, people are glued to their mobile phones. Paper, radio, and email marketing are now obsolete. Every business needs our solution and we are revolutionizing how merchants connect with consumers - via MOBILE devices. Very Low Ongoing Expenses. Open SMS Masterminds in any of these available states: AL, AK, AZ, AR, CA, CT, DE, FL, GA, HI, IL, IN, IA, KS, KY, LA, ME, MD, MA, MI, MN, MS, MO, NE, NV, NH, NJ, NM, NY, NC, ND, OH, OK, OR, PA, RI, SC, SD, TN, TX, UT, VT, VA, WA, WV, WI, WY, DC. SMS Masterminds is not currently active in our directory, but here are some other recommended selections for you to explore.